A Justice of the Supreme Court, Inyang Okoro, who is among the seven judges arrested by the operatives of the Department of State Services between October 7 and 8, has accused the Minister of Transportation, Mr. Rotimi Amaechi, as the one who instigated his ordeal. He said in his four-page letter dated October 17, 2016 and addressed to the Chief Justice of Nigeria, Justice Mahmud Mohammed, that he strongly believed that Amaechi had a hand in his travails because the Supreme Court ruled against the All Progressives Congress’ governorship candidates in Abia, Akwa Ibom and Rivers states. He also said during the raid on his house in Abuja which started around 9pm on October 7 and ended at about 1am on October 8 by the DSS operatives, the sums of $38,800 and N3.5m were recovered in his residence. He said the sums of money recovered during the search of his home by “so many heavily armed men” were the balance of his unspent estacode for the past three years. On the involvement of Amaechi in his ordeals, the Justice of the apex court said both the minister and the APC’s governorship candidate in Akwa Ibom State in the 2015 poll, Mr. Umana Umana, made attempts to use him to influence the decision of the Supreme Court on the election cases. He said both men at different times paid him visits in their bid to influence the apex court’s decisions. Okoro said during Amaechi’s visit, the former Rivers State governor said President Muhammadu Buhari and the APC wanted him (Okoro) to help in influencing the Supreme Court to deliver judgments in favour of the party. He said Amaechi claimed to have sponsored Umana’s election and as such could not afford not to win the case that was to later come before the apex court. He denied the allegation that he approached the judge for a favourable judgment. The former governor of Rivers State, who stated this in a statement by his media office, asked the judge to respond to the corruption allegation levelled against him. The statement said, “This accusation from Justice Okoro against Amaechi is a figment of his imagination, concocted to obfuscate and politicise the real issues for his arrest and the DSS investigation of allegations of corruption against him. “The claims by Justice Okoro against Amaechi are blatant lies, bereft of any iota of truth or even logic. Amaechi did not, and has never approached Justice Okoro in respect of the cases Okoro mentioned or any other case. 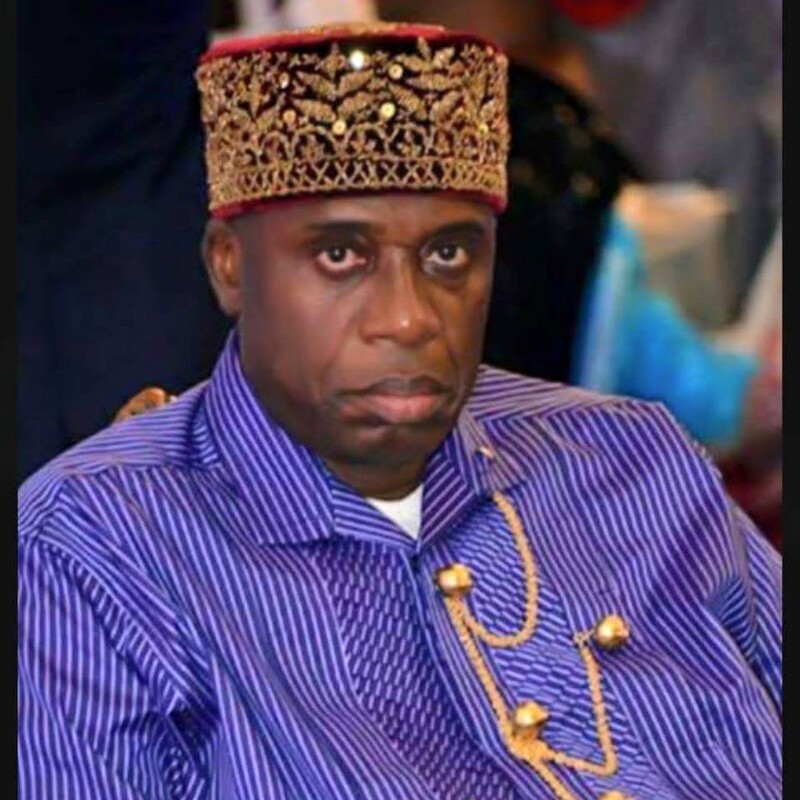 “This is a cheap attempt, albeit political move to drag the name of Amaechi into something he knows nothing about. Justice Okoro also alleged that Umana promised to be paying him “millions of naira” if he (Okoro) cooperated. He said, “My Lord, I strongly believe that this my travail is not unconnected with the verbal report I made to you on 1st of February, 2016 about the visit to my official residence by H/E Rotimi Amaechi, former Governor of Rivers State and now Minister of Transportation. “In that report, I told you My Lord, that Mr. Amaechi said that the President of Nigeria and the All Progressives Congress mandated him to inform me that they must win their election apppeals in respect of Rivers State, Akwa Ibom State and Abia State at all costs. For Akwa Ibom State, he alleged that he sponsored Mr. Umana Umana, the candidate of the All Progressives Congress for that election and that if he lost the Akwa Ibom appeal, he would have lost a fortune.